Esports, and other games : Winners of MSSA's 2018 SA Schools' National Championships. Winners of MSSA's 2018 SA Schools' National Championships. 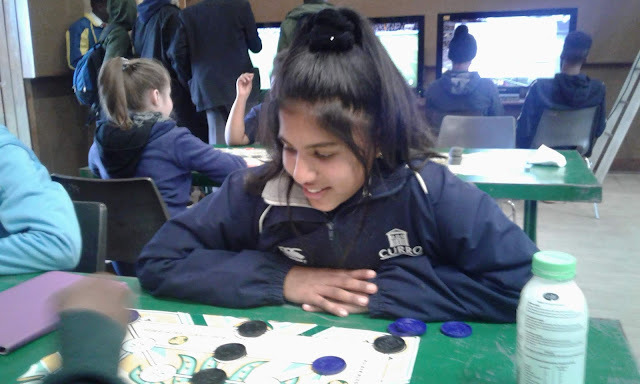 The ever cheerful Saudah Bhaimia (Curro Klerksdorp) on her way to winning her first National title. Mind Sports South Africa's 2018 SA Schools' National Championships were held at Fakkel School of Skills on 28 and 29 July 2018. Fakkel School of Skills proved to be an exceptional host and if this was a 'dry run' for Nationals (to be hosted by Fakkel School of Skills on 1 and 2 December 2018), such championships shall be a well attended and well run event. MSSA's 2018 SA Schools' National Championships were well attended with schools attennding from four provinces. There is an increase in both the number of participants as well as the number of schools participating which bodes well for future growth. It was particulary encouraging to see the game of Backgammon being played again after being absent for a number of years. 23 learners earn High School National Federation Colours at SA Schools.